If you know your WhatsApp about has been hacked by the just attend the video call in your WhatsApp app. The hacker can take the full control on your WhatsApp on your phone. Google Project Zero security researcher Natalie Silvanovich found a critical vulnerability in WhatsApp messenger that could have allowed hackers to remotely take full control of your WhatsApp just by video calling you over the messaging app. The another Google Project Zero researcher, Tavis Ormandy, claims that "This is a big deal. 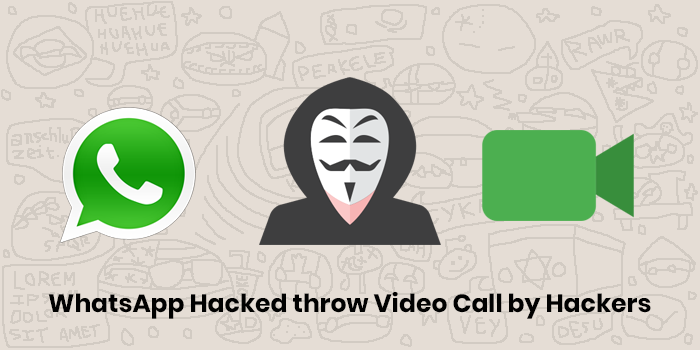 Just answering a call from an attacker could completely compromise WhatsApp." Hackers only need your phone number complete hacker your mobile phone. They can see your all private and group conversation. They also informed to the WhatsApp about this issues. WhatsApp acknowledged and patched the issue on September 28 in its Android client and on October 3 in it's iPhone client. You can safeguard your WhatsApp and your personal information update your WhatsApp app in your mobile devices for both iOS and Android.